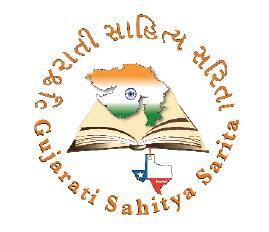 Name:	The name of the Organization will be ‘Gujarati Sahitya Sarita Inc.’ aka GSS. Purpose: The purpose of the Organization is to promote Gujarati literature (Gujarati is One of the Indian languages) literature through various means including Prose, Poetry, Gazal, Bhajan, Story, Drama, Biography, Literary competitions and Arts. •	Board of Directors, aka BOD. They will select the President, Secretary and Treasurer amongst themselves. •	BOD will also have an Honorary Member. •	The GSS has Coordinator and Associate Coordinator. •	All BOD members are required to attend 50 % of the meetings in one year. •	An attendance is considered by physical presence or an excuse conveyed to the President. •	BOD will serve for two years. •	At the end of the term of BOD, there will be smooth, cordial and friendly transition of all portfolios to the newly formed BOD including informing the regulatory authority as well as bank accounts within 4 to 6 weeks. from January 1st to June 30th and July 1st to December 31st each year. (Each term for six months duration). •	Any GSS member who has paid yearly dues for minimum of 2 (two) years is eligible to serve as BOD. •	Any present or past BOD will be eligible for the next term. every two years to select/elect five BOD. •	The President is a voting member of BOD. •	The President is a leader and contact person of GSS. •	The President with the help of the Secretary will call the BOD Meeting once in 3 months and/or in between as needed or requested. •	The President with the help of BOD will appoint a Project Leader for every special project. •	The President will authorize to write a check and will be a second signatory for check which is beyond authorized limit of the Treasurer. ($100 and over). •	The President would be the Addressee for the Resignation Letter of any BOD as well as Coordinator and Associate Coordinator. •	The Secretary is the Voting Member of the BOD. •	He is responsible for writing the Minutes of all BOD Meetings including any special BOD Meetings. •	He is responsible for maintaining the attendance log of the BOD. •	He is responsible for communication with the Secretary of State of Texas. •	He may inform the GSS monthly meeting (Bethak). •	The Treasurer is a voting member of the BOD. •	The Treasurer is responsible for all financial matters related to GSS and will maintain GSS Accounts as required by law. •	The Treasurer will present the Report of detailed line-item accounting of Income and Expenditure normally two times a year as well as within 4 to 6 weeks after completion of a special project and should be submitted to BOD. •	The Treasurer has an authority to write a check for an amount under $100 ($ One Hundred only) after communicating with the President or his designate. •	The Treasurer together with the second signatory, i.e. The President or his designate will make a payment of $100 (One Hundred) and over. •	The Treasurer will be responsible for communication with the Comptroller of State of Texas to obtain “Good Standing Status” for GSS every year. •	The Treasurer will be responsible for maintaining the record of each transaction ie. Withdrawal and Deposit from the bank account as well as Membership dues. •	Each one has a voting power. •	They will fulfill any/all responsibilities entrusted by the President of BOD. •	He is a Non-voting member of BOD. •	He will be selected from the Experienced Senior Members of GSS by BOD. •	He will be consulted for any matter related to GSS activities as an Honorary Advisor. •	He may be invited to attend BOD meetings. •	The Coordinator is a Non-Voting member of the BOD, and may attend the meetings of BOD ad lib. •	The Coordinator will select an Associate Coordinator from amongst GSS members. •	The Coordinator and Associate Coordinator will serve for a term of Six months as outlined before. •	The Coordinator will be responsible to coordinate all literary activities and will plan monthly literary meetings (BETHAK) as well as selection of Emcee, subject, time and place and will inform all members accordingly. •	The Coordinator will maintain the Membership records including phone numbers, e-mails as well as Postal addresses of all GSS Members. •	The Coordinator will write and provide monthly meeting reports to all GSS Members. •	The Coordinator is a contact person for all literary activities of the GSS including Guest Speakers. The Coordinator will consult the President of BOD for the program proposal. •	The Coordinator is internet/e-mail literate and has quick access of computer to receive and send e-mail messages. •	The Associate Coordinator will be selected by the Coordinator. •	The Associate Coordinator may conduct the responsibilities as a Coordinator in absence of Coordinator. •	The Associate Coordinator may carry out the responsibilities as requested by the Coordinator. •	Anyone who is interested in objectives and activities of GSS can become a member of the Organization. •	Mandatory membership fee is $10.00 ($ Ten only) per family per calendar year paid every year regardless of the month joined. There is no honorary membership in GSS. •	All members are encouraged to attend and participate in the monthly meetings (BETHAK) arranged by the Coordinator. •	All members have privileges to stand for as well as select/ elect BOD Members and the Coordinator. However, no member is allowed to hold two positions simultaneously in GSS. •	All Members will be provided with Annual Account of GSS. •	All members are strongly discouraged to solicit as well as spend funds on behalf of GSS without prior approval of BOD. •	The names, addresses and e-mails of all GSS members are property of GSS and should not be disclosed or disseminated for personal or professional interest by any member. •	The membership will be terminated if annual dues are not paid consecutively for 2 (two) years and whose conduct is against the purpose, principles and the By Laws of GSS. Dissolution: If for any reason, and By Laws of GSS Organization needs to be dissolved then the debt-free assets, if any, will be disposed off by BOD and it will be distributed equally amongst the annual dues paying GSS members. GSS has it own website, known as www.gujaratisahityasarita.org and is maintained by paying yearly dues. Editors: Mr.Vishwadeep Barad and Mr. Vijay Shah. For any and/or every Guest Speaker, a proposal (Attachment – A) is required before hand and to be submitted to GSS BOD through the Coordinator. The GSS BOD will approve or disapprove with reasons on the merits of the proposal and the President would inform the Coordinator of the decision, who in turn will inform the concern member (s). •	A General Body Meeting was held on March 17, 2012 at Mr. Deepak Bhatt’s Residence and following Five Board of Directors were selected unanimously. •	The present term of BOD will expire on last day of February, 2014. •	Since Satish Parikh is selected as a Director, he resigned as a Coordinator and Mr. Narendra Ved is selected as a Coordinator until the end of June, 2012. Mr. Deepak Bhatt is selected as Honorary Advisor GSS. Any other fellow GSS Members have committed to help in the project?